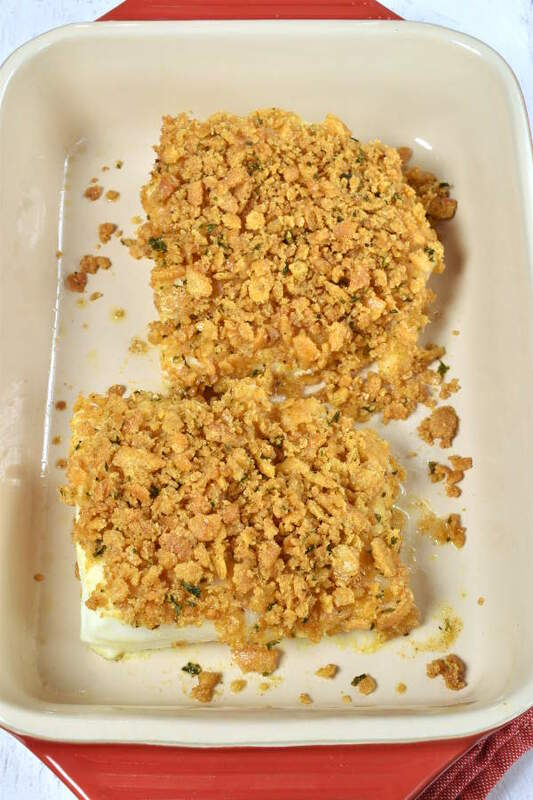 Cod fillets are topped with buttery Ritz cracker crumbs and baked to perfection. 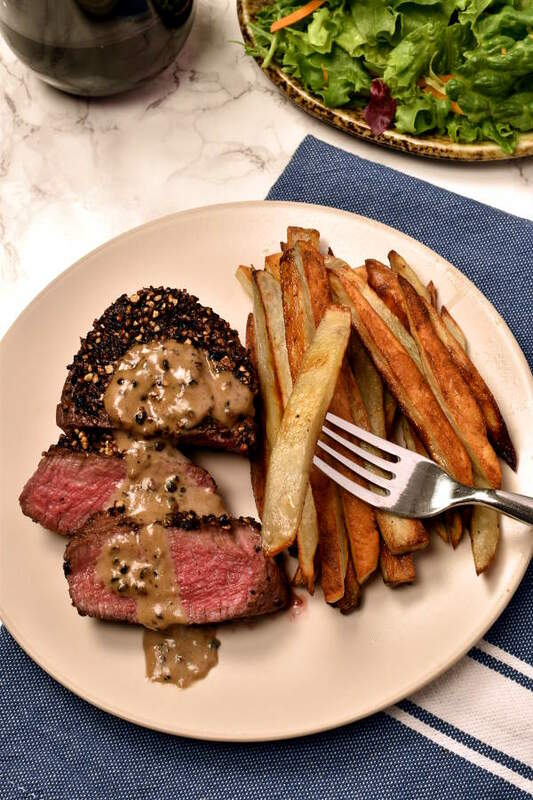 This classic New England dish is ready in 30 minutes. I mentioned in last week’s post that Jonathan and I got married recently. We had our reception in the historic dining room at Longfellow’s Wayside Inn in Sudbury, MA. The inn, located on the original Boston Post Road, opened in 1716. It is the oldest operating inn in the United States. We loved being a part of history and supporting a nonprofit historic site. We offered our guests a choice of beef, fish, or vegetarian meal. The fish option was called Broiled Boston Schrod. 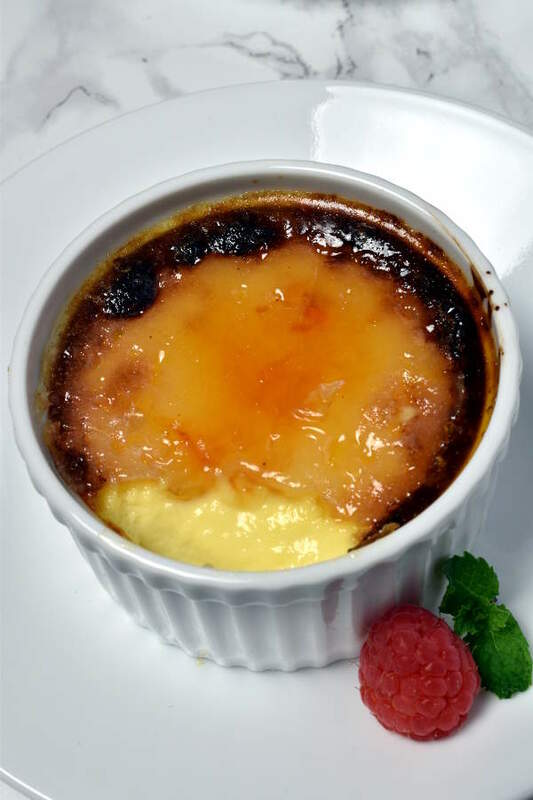 While we were wedding planning, Jonathan and I went to Wayside Inn and ate dinner at the restaurant to try out some of the entrees. That’s when I first had their schrod. 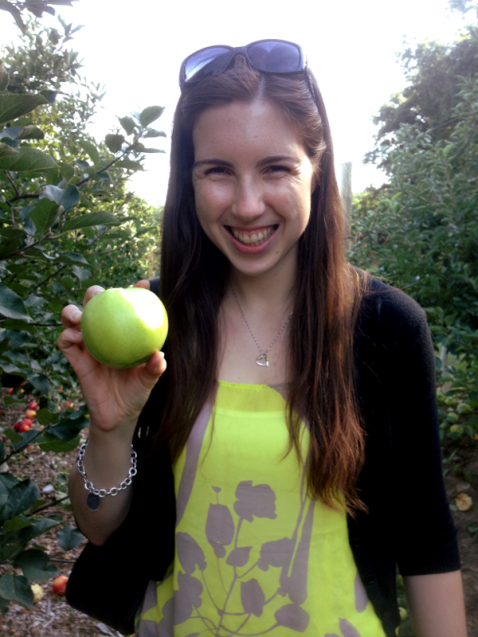 When we got home that night, I jotted down a note to make that dish for the blog. What is schrod? This Wikipedia article gives a little more detail. To sum it up, schrod or scrod can refer to a small cod or haddock, sometimes cut a certain way. The term is most commonly used in New England. I decided to specify cod for this recipe because scrod doesn’t refer to a specific species of fish. You won’t find any fish at your supermarket labeled scrod or schrod. So look for nice thick cod fillets. Note, in this post, I talked about the difference between cod loin and cod fillet. The fish in these photos are cod loin pieces. 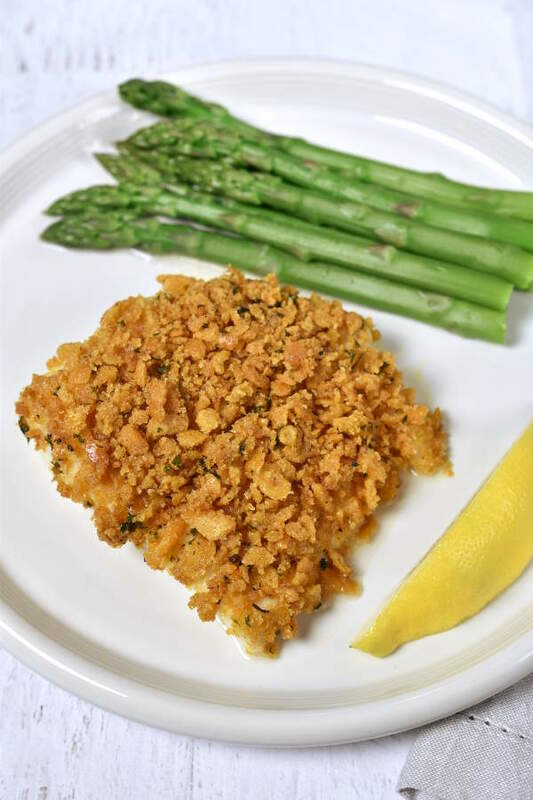 A traditional New England preparation for cod or scrod is to coat it with breadcrumbs and butter and bake. I believe Wayside Inn’s version uses breadcrumbs. Ritz crackers weren’t around in 1800’s New England, but I find that using Ritz cracker crumbs instead of breadcrumbs adds a little more buttery flavor. I don’t usually specify brand names for ingredients. This is not a sponsored post, but I feel like if I say “buttery crackers” you might not know what I mean, and everyone knows Ritz crackers. 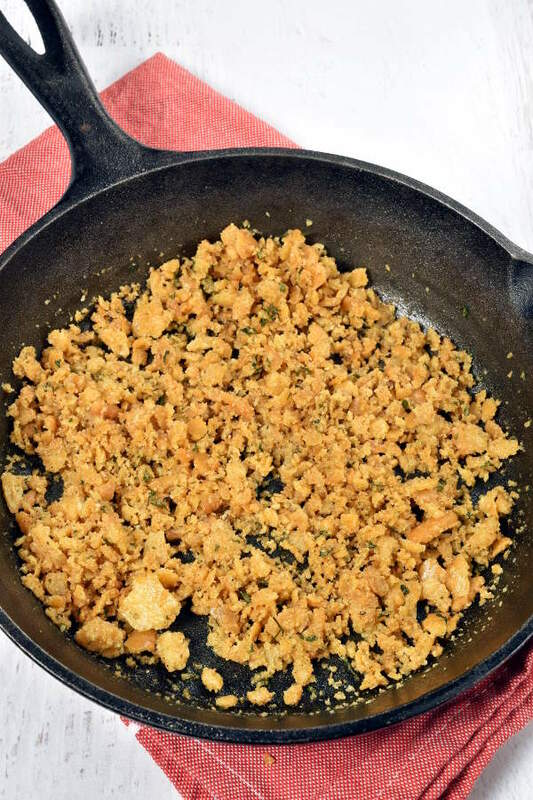 However, if you prefer, you could substitute other types of cracker crumbs or panko bread crumbs in this recipe. Let’s take a look at our main ingredients. 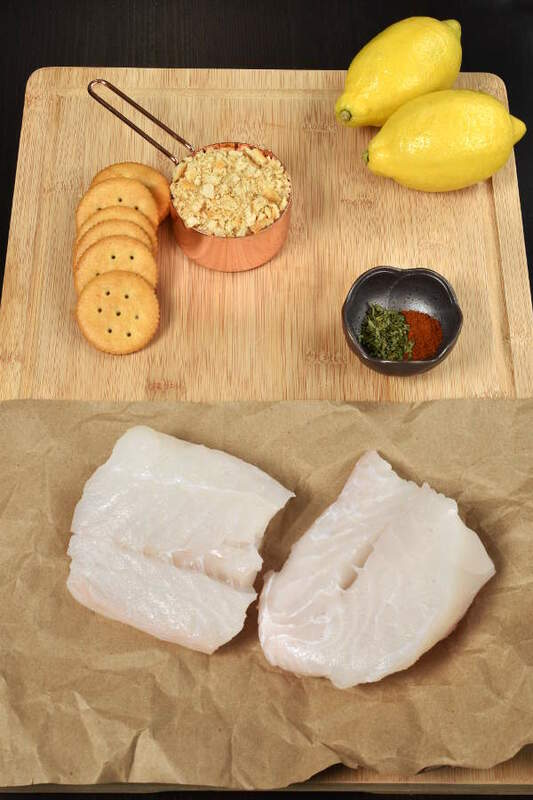 Here we have two pieces of cod loin, a half a cup of crushed Ritz crackers (those whole crackers shown for presentation were consumed by me during the photoshoot), some dried parsley and paprika I used to season the cracker crumbs, and lemon for serving. The paprika helps give the crumb topping a nice color. First, I toasted the seasoned cracker crumbs in some melted butter. This step really enhances the flavor of the topping. I used flour and egg to get the crumbs to stick to the top of the fish. Here it is after baking. 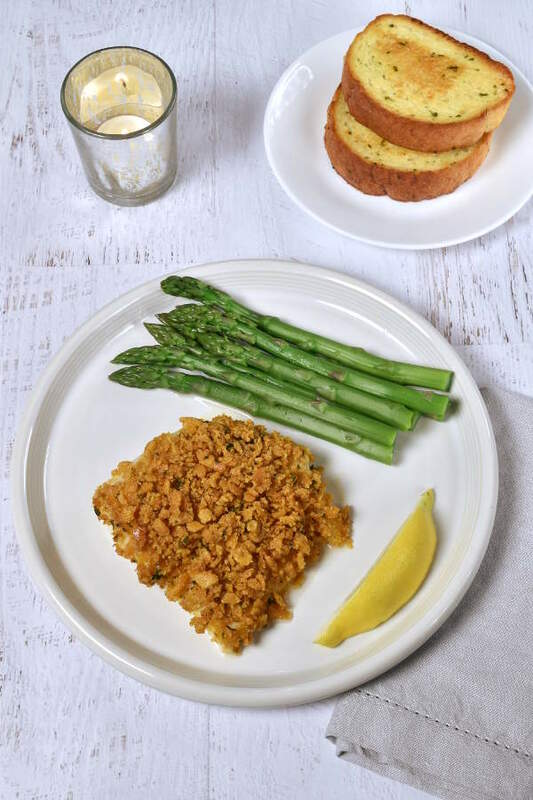 We enjoyed our Boston Baked Cod with steamed asparagus and garlic bread. It would also be delicious with the Individual Potato Gratins from this recipe. Wayside Inn served their Broiled Boston Schrod with steamed green beans and roasted potatoes. 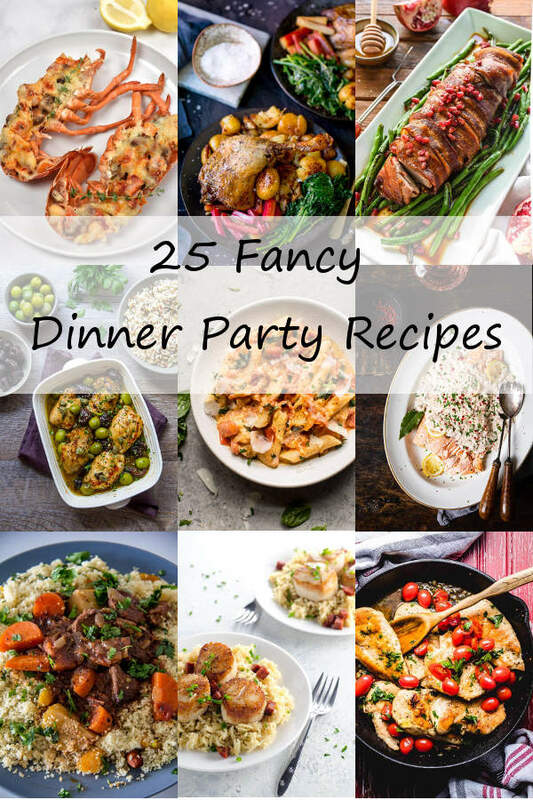 Serve with your favorite veggie and/or starch to make a complete meal. Preheat oven to 375 degrees. Spray a baking dish with cooking oil spray. Melt butter in a skillet over medium heat. Turn heat down to medium-low. Add cracker crumbs, dried parsley, paprika, and salt and pepper. Cook, stirring often, until crumbs are lightly toasted, about 3 minutes. Remove from heat and spread out on a plate to cool. 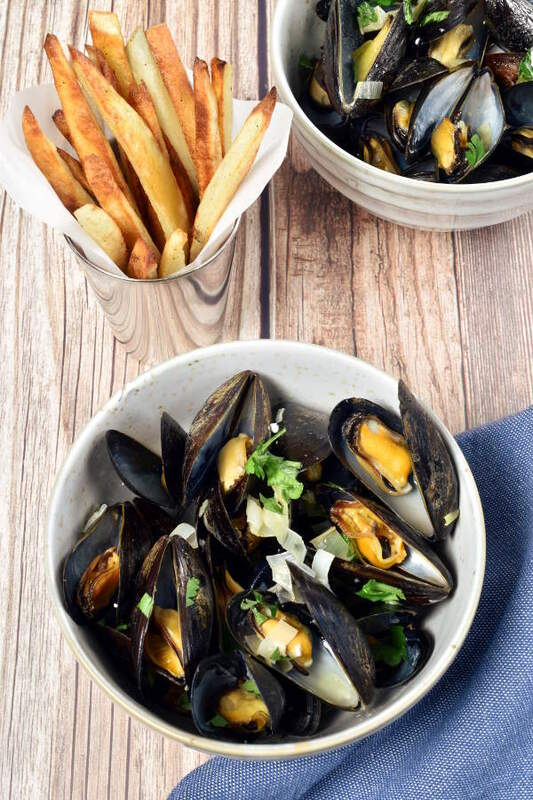 Bake for 15-20 minutes, depending on how thick your fillets are, until fish flakes easily or reaches internal temperature of 145 degrees. 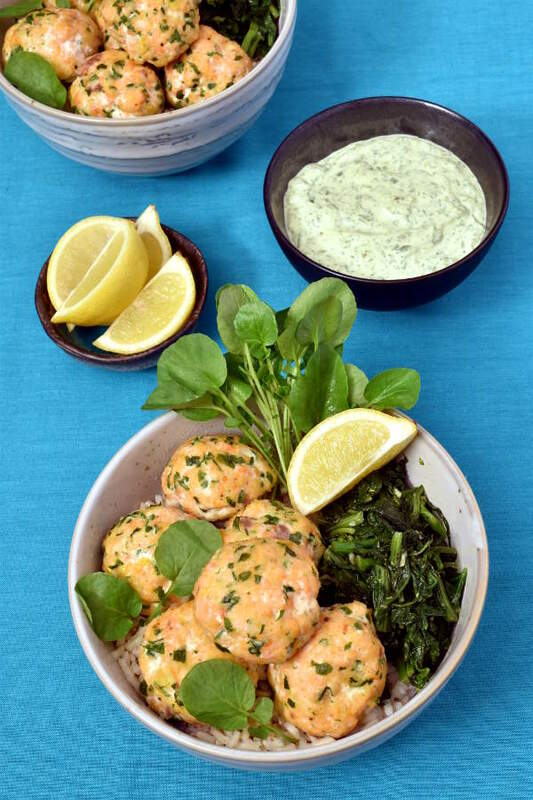 Serve with lemon wedges.